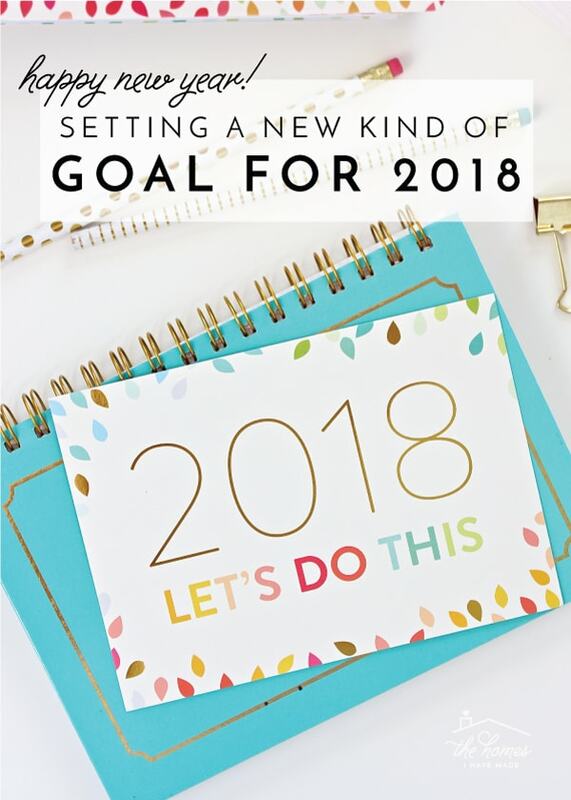 A New Kind of Goal for 2018! Happy New Year, my friends! I hope you all had a wonderful holiday and a very Happy New Year. I’ve been taking the last few weeks to celebrate the holidays, visit family and friends, decompress after a crazy end to 2017, and re-group and re-energize for the New Year (and there has certainly been some decluttering and organizing going on too!). I find breaks so good for me…not only do they help me dial back and reflect on everything going on, but they also revive my weary soul and jump start my stalled-out creativity. The bummer part about breaks is that I am away from you guys for a while, but the good news is that I come roaring back ready to go! 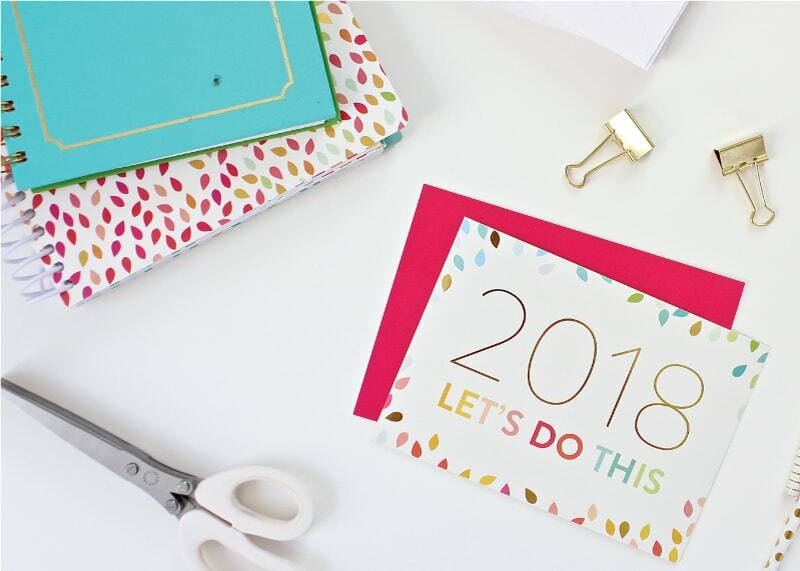 Before we jump back into projects and house updates though, I wanted to do my “blogger diligence” and kick off 2018 with a reflection on the year gone by and my thoughts and plans for the year ahead! If I had to use one word to describe 2017 it would be frazzled. From home life to blog life and every tiny piece of life in between, I’ve been keeping a pretty hurried, frenzied, over-filled, over-stuffed, anxious pace to life lately. Could you feel it? I feel like overwhelm was practically seeping out of me so I’d be shocked if you all didn’t pick up on it in some small way. From starting the year off with bringing home a new baby, to actively growing the blog and our income, releasing my first product, trying to make this weird rental feel like a home, creating and shooting a Craftsy class, and dealing with some big things on the homefront, 2017 left me feeling spent and exhausted in pretty much every way. Amidst the chaos though, I started hearing whispers from every direction (figuratively, not literally!) that I needed to put on the breaks and put them on hard, or life…or rather, more importantly…my children’s lives…would pass me by all too quickly. Themes of quiet, margin, white space, simplicity, contentment, less, and peace have been reverberating through my social feeds, favorite blogs, books on my nightstand, conversations with close friends, and more. Whether these whispers have been there all along or are just now very trendy, I’ve found myself gravitating toward them in a big way. So over my break, I’ve been doing a ton of reading, reflecting, journaling, praying and soul-searching (all things I rarely let myself slow down enough to do!) and those whispers have now grown to full on shouts I just can’t ignore. This New Year has felt so different than others I can remember. I usually kick off every new year with ambitious goals of growth and improvement…of going farther, faster, bigger, better than the year before…whether it’s on the blog, fitness, family, anything! 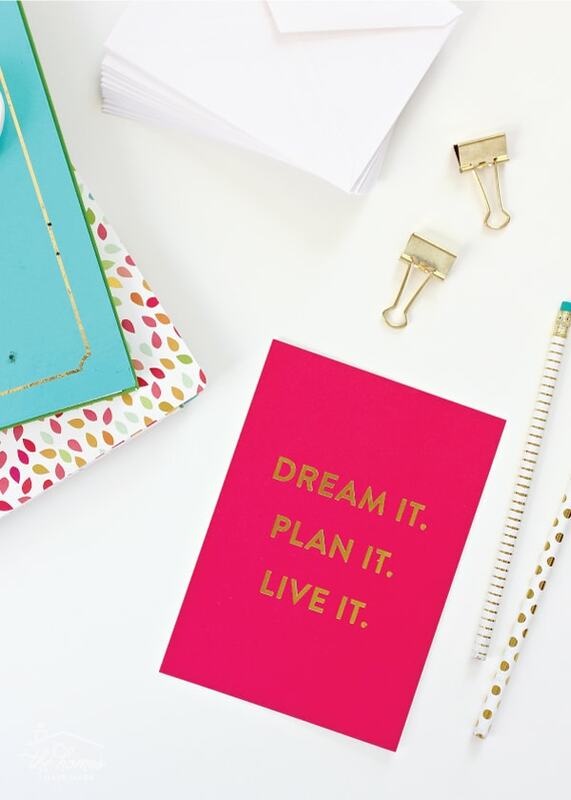 I usually have jam-packed To Do lists, pretty new planners, fancy new markers and plans…oh friends, so many plans. I do have plans this year too…but this time around, the plans aren’t to grow more and make more and be more. Instead, they are quite the opposite: to slow, to quiet, to pare down, to prioritize. As cheesy as it sounds, I feel a shift occurring in my soul. A shift away from busy and hurried and anxious to intentional and quiet and slow. I’m sure I’ve tried to make similar shifts in the past, but this time feels different. I sure hope it’s different. I’m ready for this time to be different. Do you do a word of the year? I’ve never really done it before but I invested in PowerSheets for the first time ever and have forced myself to embrace this unique, somewhat uncomfortable but oh-so-gratifying method of goal planning. Instead of going into 2018 with all sorts of “manufactured” goals for my life, the house, the blog and our family, I worked systematically through the PowerSheest to uncover goals that really matter to me. Part of Lara’s method is to identify a Word of the Year…and as I was working through all the various prompts and exercises, I was certain I was going to choose the word less. Less work. Less anxiety. Less stuff. Less clutter. Less to do. Less late nights. Less mom guilt. Less broken promises. Less frenzy. Less less less!!!! 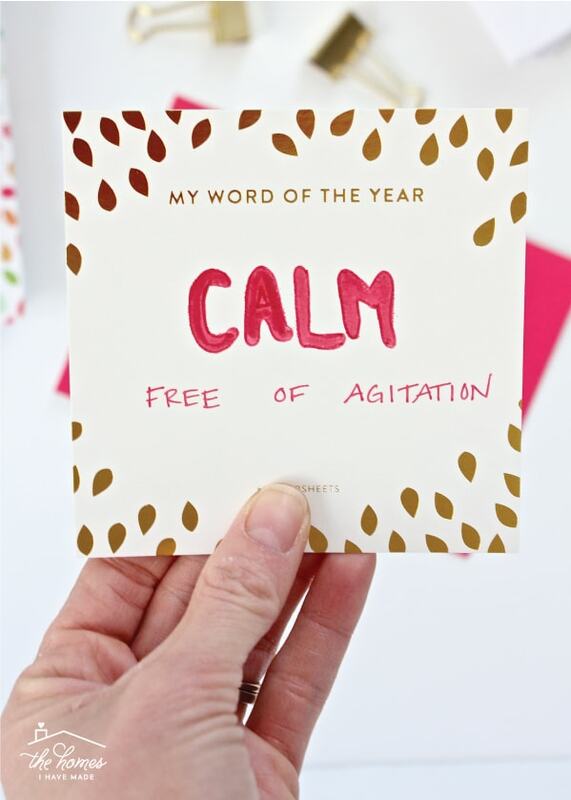 Free from agitation. That is really what is at the heart of all the whispers I’ve been hearing for months. Yes, I definitely want less stress, less stuff, and less anxiety. But calmness…a state free of agitation…in my heart, in my home, in my relationships, in my work…that is an end result that resonates with me so much more deeply than just having and doing less. So this year, my usual plans of growing and expanding and conquering all the things have been replaced with plans to eliminate agitation and restore calm to several areas of my life. And one of the biggest areas needing calming right away? Right here. Don’t panic. I’m not going anywhere. In fact, for the first time ever, right here on The Homes I Have Made is the only place I plan to be. You guys – blogging is hard work. Really hard work. And I’ve been hustling hard for several years now. Admittedly, I got very caught up chasing big incomes, big product sales, big social media followings, big sponsorships, big traffic numbers and more. I bought fancy equipment, invested in snazzy new site designs, purchased too many courses that promised results, neglected my children way too many times, and spent more hours stressing over social media than I care to admit. But all this pushing and hustling didn’t bring me the joy, happiness, feeling of success, or income I hoped…rather it left me frustrated, isolated, defeated, resentful…dare I say agitated? I began to feel like I was giving all I had just to keep falling more and more behind in a race I no longer felt like running. I just said that blogging is hard work, but I take that back. Writing a blog itself is not hard work…in fact, I LOVE blogging. I love doing projects, coming up with a clever and unique angle to share that project with you all, photographing it and editing the photos, writing it, posting it, and hearing what you all love/don’t love about the project. And if I’m being perfectly honest, I love being able to make money doing those things. But my love for blogging pretty much stops there. Blogging has morphed into this be everywhere/do everything job that is now pretty much impossible for a stay-at-home Mom to accomplish in the margins of naps and school drop off and basketball practice. Someday I’ll pull back the curtain and show you guys what’s all involved in running a blog business; but in short, it’s never, ever ending. Social media. Answering emails. Learning the latest strategies and proven methods for success. Algorithm changes. Following fellow bloggers. Creating products. 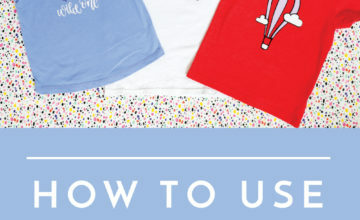 Email marketing. Mastermind groups. Answering comments. And on and on and on. Friends, my hours are limited. And it has become very clear in recent months that all these nuisance tasks steal precious time away from actually creating, writing, and sharing all the ideas jammed into my head that I am so desperate to show you all. It’s these annoying tasks that have been keeping me from being present with my babies. And it’s these “necessary” tasks that have been slowly stealing my joy from blogging. I have lost a lot of money, tears, and sleep trying to make this blog bigger and better; so it is through a lot of exasperation, frustration and honest-to-goodness soul searching that I am finally ready to throw up my hands and cry “mercy.” When all the gurus and experts are saying to do and be even more, I am now choosing to be and do less. What exactly does this mean? Well, for those of you who visit the blog regularly, I don’t think much will change for you. I will still be here, every Tuesday and Friday (unless otherwise announced), sharing my projects and home updates and printables and ideas. Rather, it’s behind-the-scenes that (hopefully) will experience bigger, real, calming changes. For the first time in 5+ years, I have stepped away from all commitments and obligations to other blogs and websites. This is a huge and long-time-coming step for me; and after years of thinking about it, I felt enormous calm finally closing that chapter of my career. This means that finally, all my work hours will be dedicated toward posts and projects for my own site. It means that my ideas will no longer be given to other sites to make money or traffic off of. And it means that I no longer have obligations to anyone but myself. And while this is freeing and liberating and empowering, it also means that I have given myself a very large pay cut. That’s okay. The time and sanity regained is more important than the money lost. Interestingly though, this shift in both time gained and income lost has prompted some new, fun, smart and refreshing ideas and changes for The Homes I Have Made that I couldn’t be more excited about. I’m not going to dive into details here and now, but I’ll be sharing them with you little by little in the coming months! Beyond shifting my time and focusing squarely onto my own site, I’ll be making some other small yet meaningful changes behind-the-scenes. In short, I am letting myself say “no” to the hustle, “no” to being everywhere all the time, “no” to posts for the sake of posts, and “no” to all those “necessary” tasks I hate so much. So if you’re looking for me to be all over social media, I won’t be there. If you’re looking for me in Facebook and Masterminds groups and e-courses, I won’t be there. If you’re looking for bigger, better and more posts that don’t genuinely work for my family or my home, they won’t be here. And most importantly, if you’re looking for me in my office after the sun has gone down and the boys are tucked into bed, I won’t be there either. 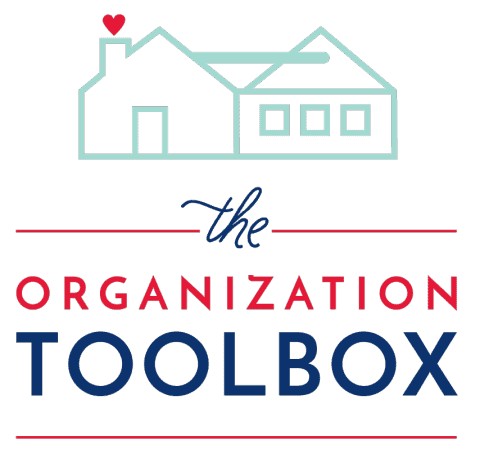 My plan is to focus in on fun projects, smart solutions, useful printables, and heart-felt writing that make sense for our family and fit into our real life schedule. I just said that things won’t change around here, but maybe that’s not true. 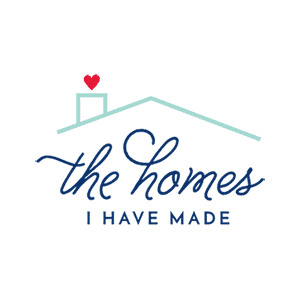 It is my hope that by restoring calm to the girl behind the blog, it will bring a renewed energy and authenticity to my posts, ultimately inspiring us all to love our homes and streamline our lives even more! Am I’m scared about this leap? Yep. Am I worried my blog will fall off the map? Yep. Am I stressing about loosing all the progress I worked so hard for? Yep. Am I worried about getting sucked back in to the hustle? More than you know. But is this in the best interest of my well being and my family’s happiness? Absolutely. I’m still type A and I am still a go-getter, so of course I still have big plans for this platform. But the only way for me to focus in and grow the parts of this blog I love are to trim away all the parts that I don’t. And while these choices are scary and hard, I feel an immense sense of calm hitting publish on today’s post. I know this is the right thing to do, and I am ready for the contentment that comes with reclaiming my time and choosing how I spend it. Here’s to less hustle, less stress, less computer time, less comparison, less busy…and a whole lot more calm! 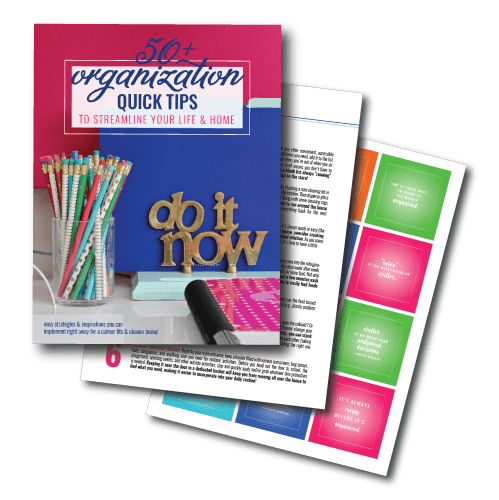 50+ Quick Tips to Get You More Organized - A FREE Mini E-Book! You have to take care of you first otherwise you can’t take care of your family and that should always be top priority. There are only a handful of blogs I faithfully follow, yours is top on my list because you keep things real, on a level I can relate too. That’s why I tune in every week. Many times your blog has inspired me to start a project (even finish one that was put aside for way too long). 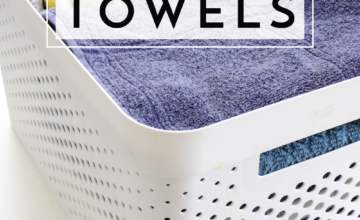 Your printables have been a huge help getting me organized and stay organized. Thank you for all your hard work on your blog. I look forward to see what 2018 brings. Now go hug those babies! I follow you because I like your projects, your style, and your family values. Truthfully, blog link ups make my head spin – too many things at once! Too many projects seem unrealistic. Three cheers for CALM! I look forward to a calm 2018 with you. Yes! Fistpumping for you! I was exhausted for you, and I read your feed in my blog reader and avoid Facebook so know that we will spread your blog via word of mouth. I love this post as I have loved your blog for years and glad you can do it for you! May you get all the success by just doing what you do best-write post with amazing ideas! WOO! Go girl! Nice post, great plan, I’m rooting for you. 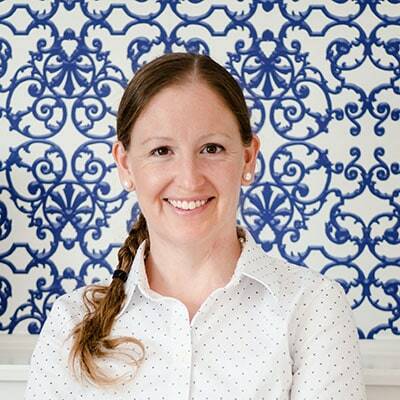 I’m so glad your back after a much-needed break–I love your blog and the posts you do!I have six kids and fully agree that doing less helps me be more for my husband and kids. Can’t wait to see what you’ve got planned! I will still be here reading each week, looking forward to seeing what your new calm will bring. I love this! 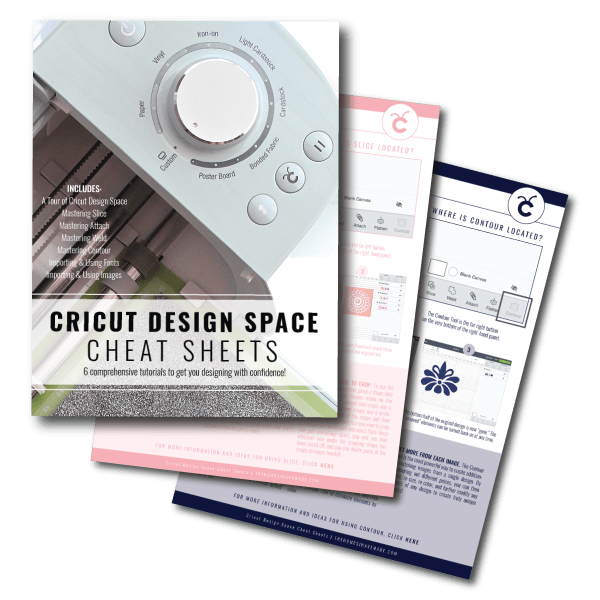 This is my first year investing in powersheets as well and I’m really excited about it! I’ve also been feeling the pull of less stuff, less clutter, less busy over the past year or so, so I really love this post! It is so easy to get caught up in all the stuff and hustle, but when I think of how quickly these years with little kids are going to fly by I know that saying NO to some things so that I can say yes to my family more is the better route for me to go! What a lovely post and you’re so right, less is always more I learnt that not so long ago ! 🙂 Calm is what we need and let me tell you friendly that it’s the best you can do for you and your family. Don’t be afraid we will still be there with you only waiting for you to be the happiest you can be. Have a lovely and happy New Year with your husband and sons. What an empowering decision Megan, not just for you and yours but for your readers & other bloggers too. I don’t do any social media other than following half a dozen blogs on my laptop. Yours of course being one of them. What’s important to me in following a blog is reality, I don’t want to see perfect because that’s something I can’t achieve. different to the original plan. You keep blogging here and I’ll keep reading, now go enjoy your family + take time with Megan, she’s worth spending time with too. Good for you! As any Baby Boomer will tell you, time travels way too fast. I miss the 50-60’s when things were slower & simpler (even though I was a kid!). I think social media has taken more away than it has given to us. Ask yourself “what would happen if the Blog did go away?” You’d move on to another chapter is what! So don’t let that fear control you. Enjoy those kids! They grow up way too fast! Love. This. Our world is too fast, and calm is needed all the time, everywhere. Good for you for calling it and claiming it. I am glad you are still going to be here! 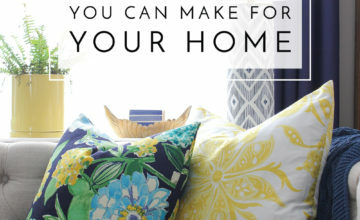 There seem to be just 2 decorating blogs that I read with any regularity, and this is one. The other is Jen over at I Heart Organizing, which is, I believe, where I found you when you did a guest post for her. I was smitten with the way you styled your home and the way you found ways to organize. You have a talent for making things beautiful, and livable. You have had a lot on your plate, especially in the last couple of years! Moving halfway across the country while you’re expecting, trying to navigate a new home, a new family member (who is adorable by the way!) and deal with all the other things you’ve dealt with, I’m amazed you’ve held it together as long as you have! You’ve done an amazing job of it, too. Yes, calm is definitely called for! You’ve earned it. You take all the time you need. As I said once before, you’re worth waiting for, so if you need to reduce your schedule, I will still be here. Probably late, lol, but I’ll be here. 😀 It might be time for me to follow your advice and deal myself a dose of calm, too! This post resonated with me. Thank you for sharing that. It makes me feel so much better, and I am also planning for more calm. I started my blog just to earn just enough side pocket money for me to spend on my hobbies, but I got sidetracked by all the big numbers and felt that I needed to be making as the many full-time income bloggers are making. Being me who also love challenges became obesssed and as finding blogging to be quite intense at times. I do say it is a lot of fun, but I also don’t need the unnecessary stress from it. I am a first time visitor here, and I love all of your contents so far. It has been two days that I’ve been scrolling your blog. You’ve done a great job, and I wish you more success, calmer life and most imoortantly HAPPY.